Gulfstar Electric is a state-licensed commercial and residential electrical company focused on the growing demand for safe, efficient installation of electric vehicle (EV) chargers. Gulfstar is proudly trained and certified to install all major EV charging systems and is a Tesla preferred installer for this area. The Gulfstar team is led by Davan Milford, founder and Master Electrician with more than 15 years of experience in the field of commercial and residential electrical work. 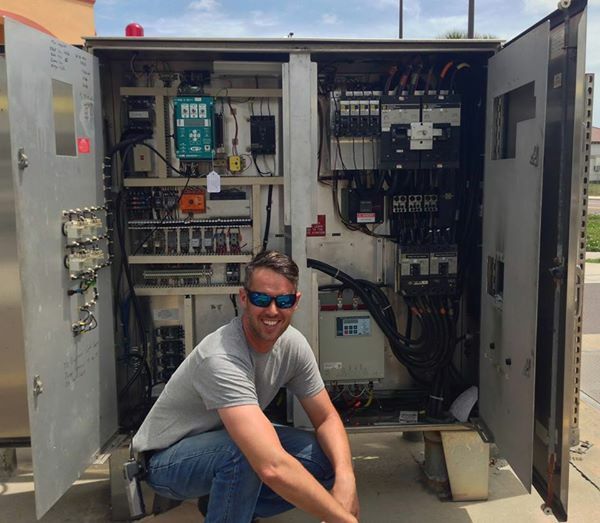 Davan began as an electrical apprentice in California where he worked his way up, learning the basics of his trade. He then moved to Florida and earned his Journeyman License and began working with local electrical companies. He later earned his Master Electrician’s state electrical license and founded Gulfstar Electric in. Davan attended the Bay Area Electrical Apprenticeship Program in Clearwater, Florida. Gulfstar is based in Pinellas County, Florida, and serve Tarpon Springs, Palm Harbor, Dunedin, Clearwater, Largo, Pinellas Park and surrounding areas, including Indian Rocks Beach and Clearwater Beach communities as well as clients in Tampa and St. Petersburg.